260 Sample Sale is pleased to welcome the Maje Sample Sale back to our 150 Greene St. space in Soho. Join us Tuesday, April 16th through Sunday, April 21st to shop women's ready-to-wear and accessories from this French brand at prices far below retail. 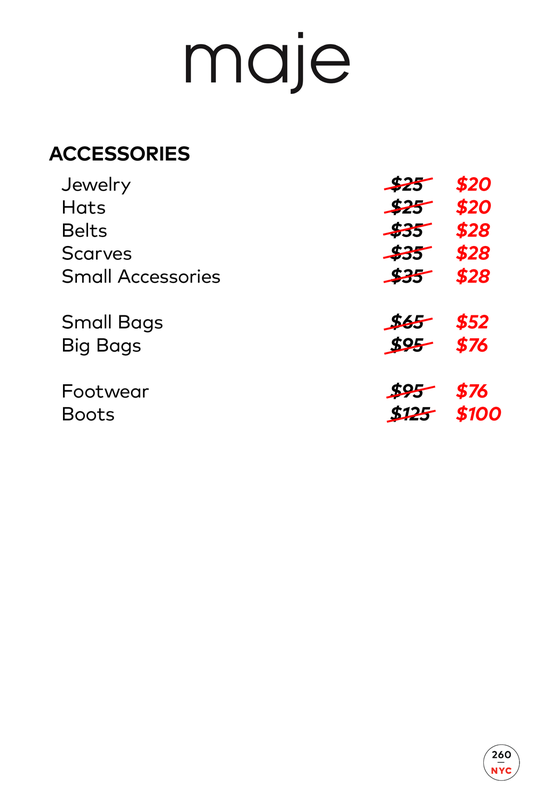 NOW AN ADDITIONAL 20% OFF THE BELOW PRICES!